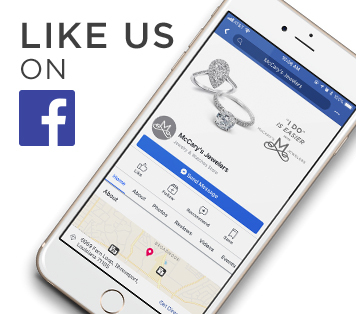 Custom Designs | McCary Jewelers Inc.
McCary’s Jewelers strive to exceed your expectations. The in-house team of expert jewelers, designers and gemologists can create the style of your choice. Whether you prefer old-world charm or contemporary design, the McCary’s team has the talents and skills to produce anything you can imagine. With simple steps that lead you through the consultation to dimensional modeling, casting and hand-setting your stones; McCary’s team will make the design process a very personal and meaningful experience. McCary's also offers in-house engravings and repairs.